1) Do your research and be flexible. Before you begin to look at and speak to specific warehouses in your area, do some research on your own. You’ll want to have an idea of what your priorities are and what questions you want to ask so you can begin your search for the perfect public warehouse as strategically as possible. At the most basic, look into location, services and size. Make a thorough investigation into locations around you that you’d like to serve. What regions would you like to focus on, and why? Compare and contrast the services you could get, and prioritize the most important. As for size, make sure you know what how much room you’ll need – and how much you might need in the future. While in the research process, draw up a list of a few priorities. Location? Communication? Size? Labor and services? Plan thoroughly for your needs. When thinking through your priorities, however, remember that you may not find every element you deem necessary in the same warehouse. For example, the warehouse with the best service and opportunities for expansion may not be in your top choice for location. Be ready to be flexible in your decision, whether that means sacrificing one priority for another, more important one, or creating an outside-of-the-box solution, like hiring multiple services for your varied needs. While searching for a warehouse to partner with, keep your company’s future needs in mind as well as the services and space you need right now. If you’re planning to expand, have the potential to create new products, or simply hope to grow your customer base in the future, look for a warehouse that will give you the option to expand your space, should you need it. Similarly, make note of the services you may need in the future, if they will differ from those you’re shopping for currently, as well as how quickly a warehouse can provide a change in services. You may find it helpful to ask about any public warehouse’s networks. If you’re thinking about expanding your own business, look into whether a potential warehouse service has multiple locations that could fit your future needs. And if you’d like more ideas about how to plan ahead, check out this article from Inbound Logistics. Just like any new employee, you want to make sure any warehouse service you hire comes recommended. Warehouse services that communicate well with you and provide good services are strong contenders, but keep in mind that they’re also trying to get your business. 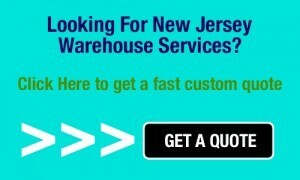 Unlike warehouse services themselves, their clients won’t have a vested interest in your decision. Talking with current or former clients, especially businesses similar to your own, can give you an objective idea of what to expect from any service you’re seriously considering. Similarly, asking for warehouse recommendations from connections you trust can help direct you to quality services without requiring so much research up front. However, you’ll also want to consider that your needs and priorities probably differ from any other company’s needs, even those that are in similar industries. Even if you find warehouses from trusted sources, make sure to create a list of priorities in services, location, etc. so you can make an informed decision. 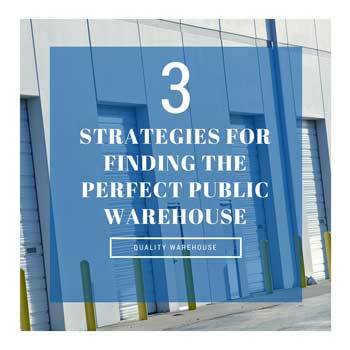 Whatever your needs, using through these three strategies will help you to make an informed and thoughtful decision while looking for the perfect public warehouse.